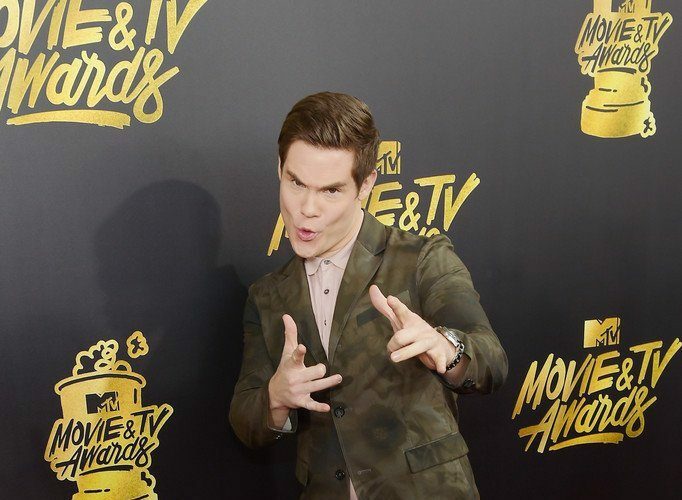 Adam DeVine was in attendance at 2017 MTV Movie & TV Awards on Sunday (May 7) in LA. 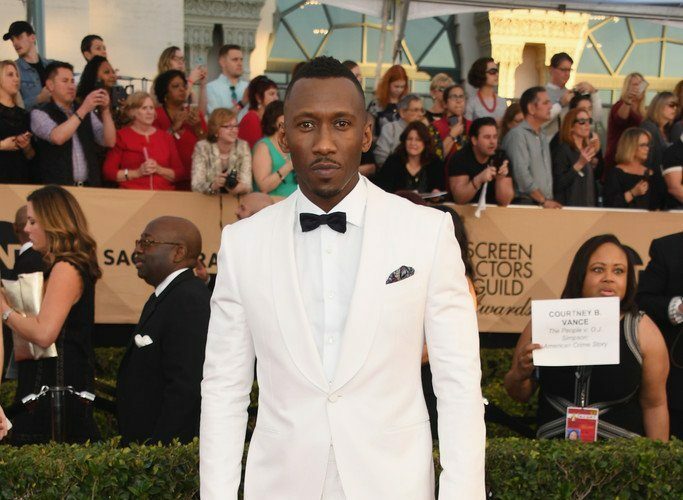 He wore a Jil Sander Spring 2017 suit. 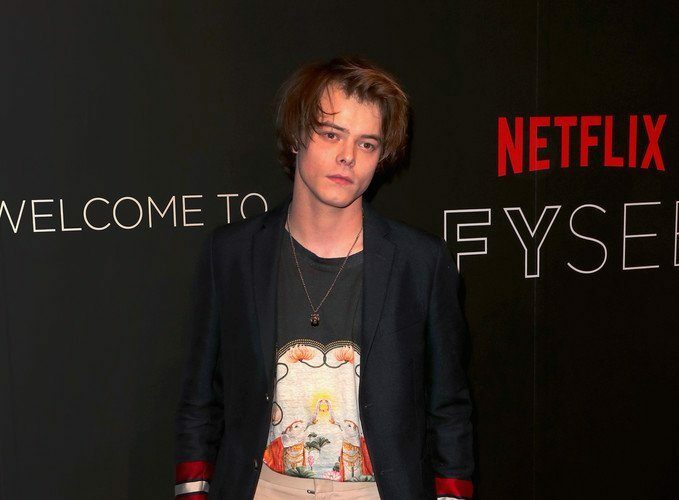 Charlie Heaton was in attendance at 2017 MTV Movie & TV Awards on Sunday (May 7) in LA. 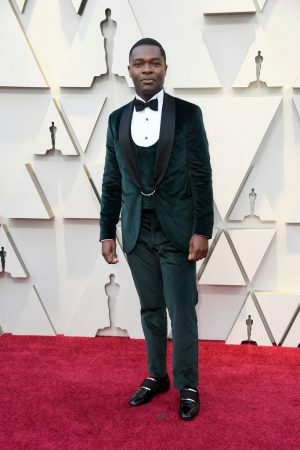 He wore head-to-toe Gucci Cruise 2017. 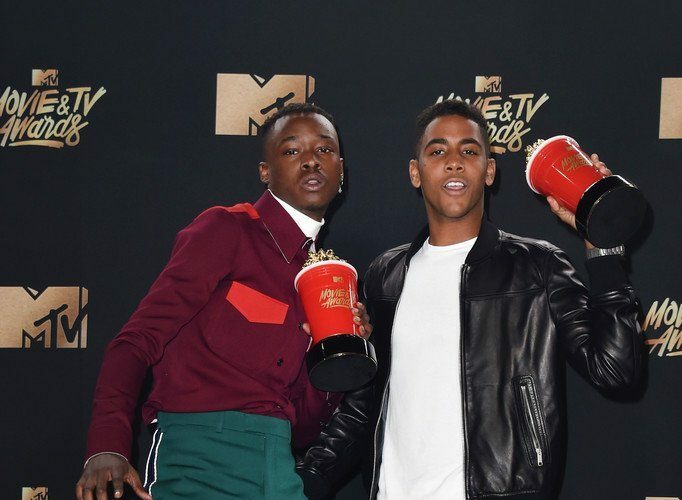 Ashton D. Sanders was in attendance at 2017 MTV Movie & TV Awards on Sunday (May 7) in LA. 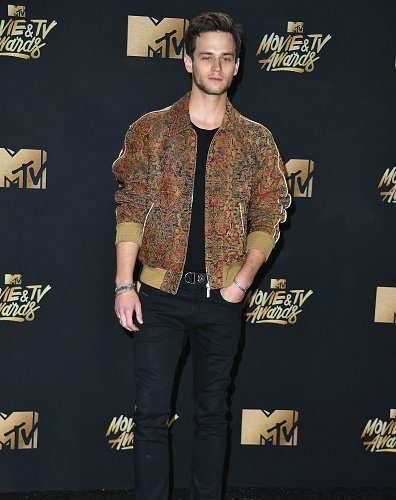 Brandon Flynn was in attendance at 2017 MTV Movie & TV Awards on Sunday (May 7) in LA. 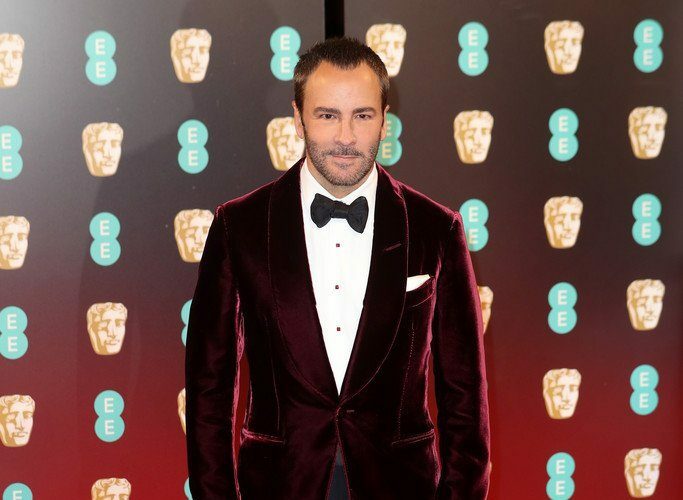 He wore a Saint Laurent Spring 2017 jacket. 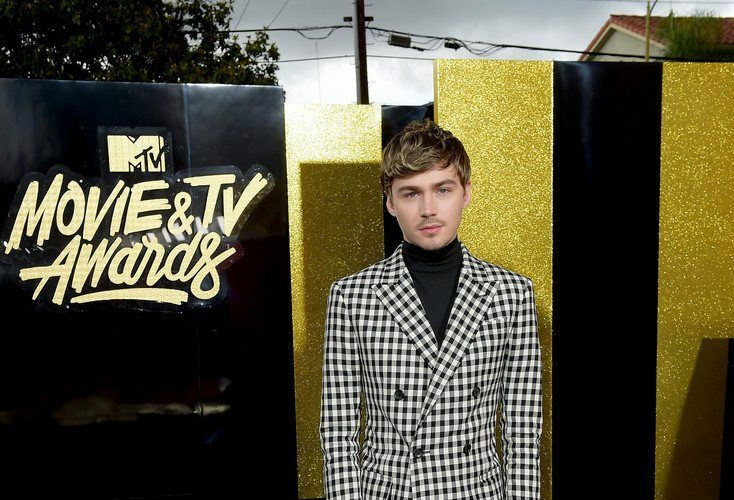 Miles Heizer was in attendance at 2017 MTV Movie & TV Awards on Sunday (May 7) in LA. 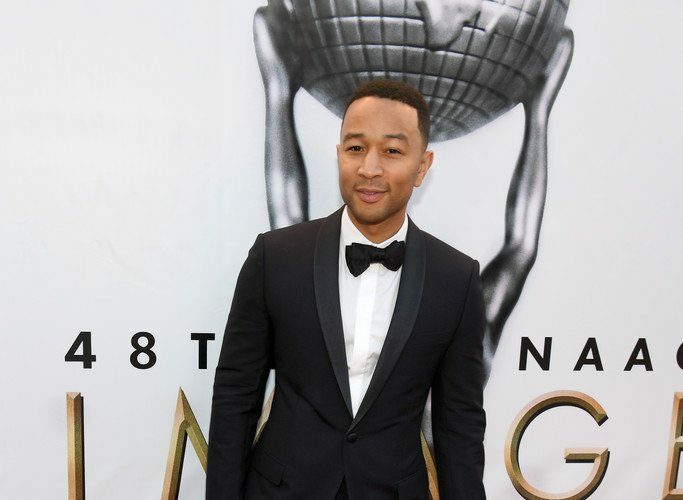 He wore a Bally Fall 2016 bicolor gingham print suit. 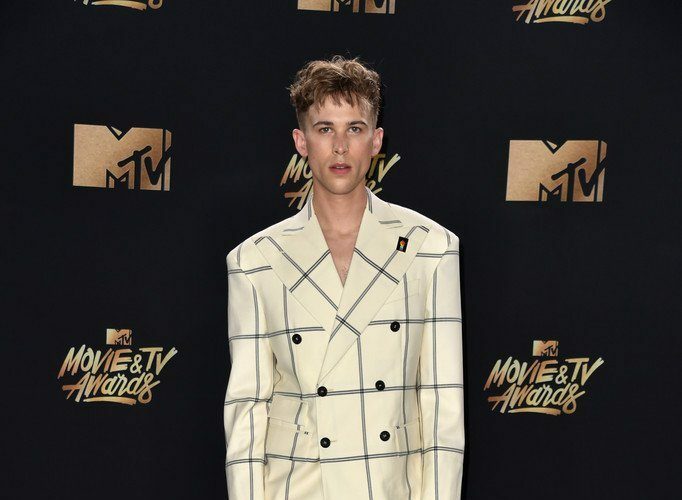 Tommy Dorfman was in attendance at 2017 MTV Movie & TV Awards on Sunday (May 7) in LA. 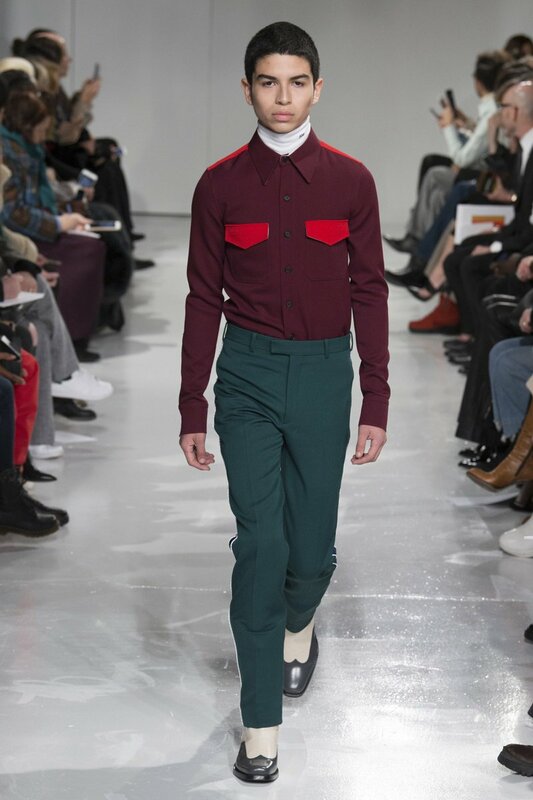 He wore a Vivienne Westwood Fall 2017 look with Dsquared2 boots. 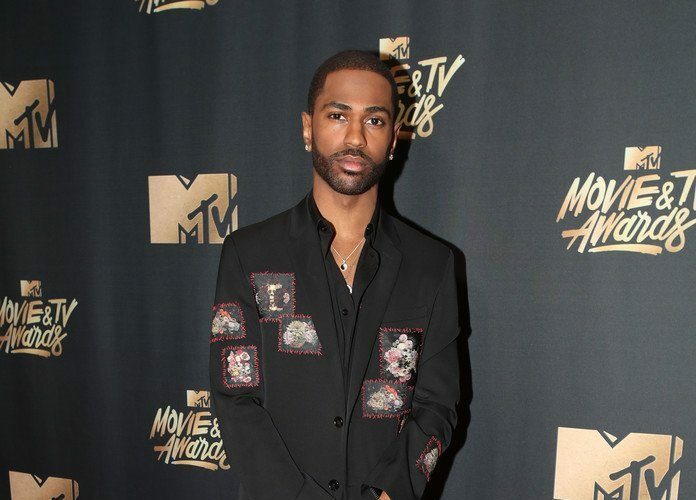 Big Sean was in attendance at 2017 MTV Movie & TV Awards on Sunday (May 7) in LA. 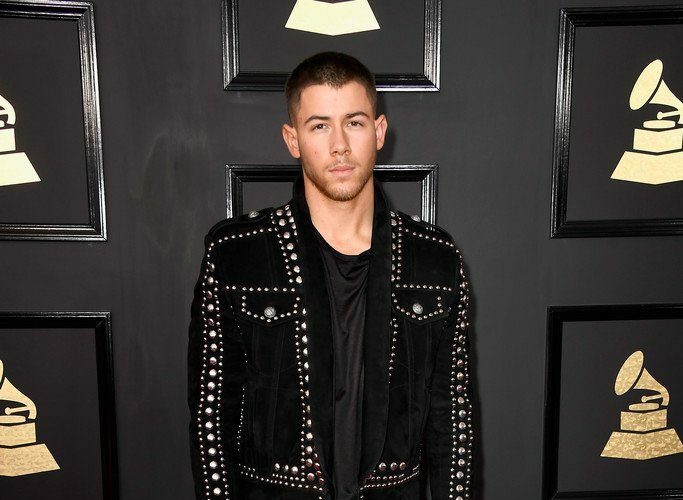 He wore Dior Homme Spring 2017 patchwork suit. 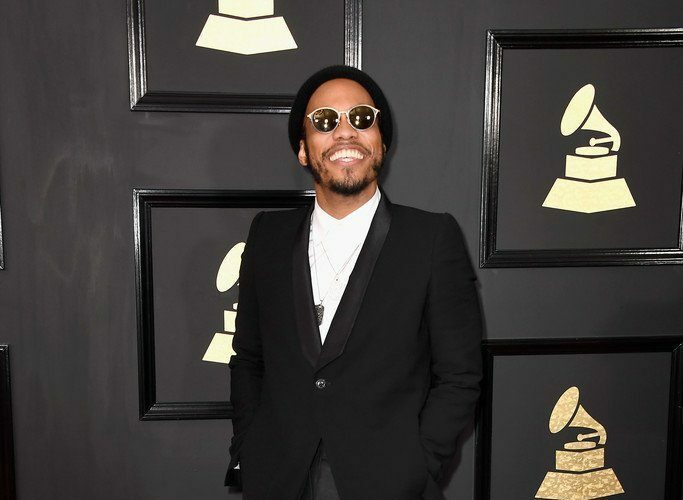 Anderson Paak was in attendance at the 2017 Grammy Awards held at the Staples Center on Sunday (February 12) in Los Angeles. 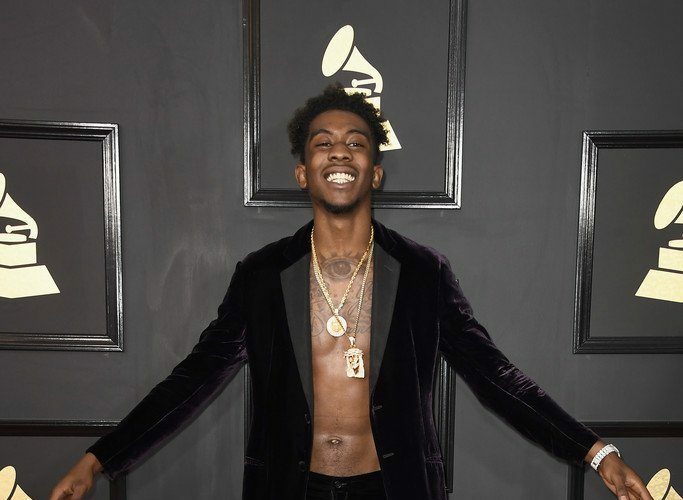 He wore a full Rick Owens Spring 2017 ensemble . 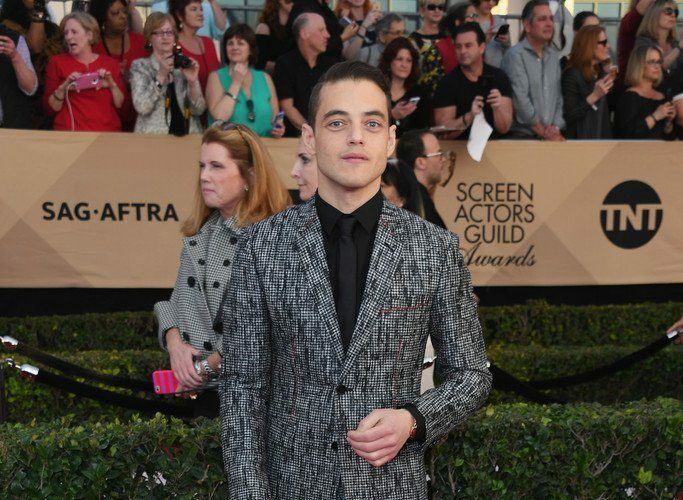 Rami Malek wore a Dior Homme Spring 2017 suit w/hand embroidered “Faith in Us” stitches to the Screen Actors Guild Awards 2017. 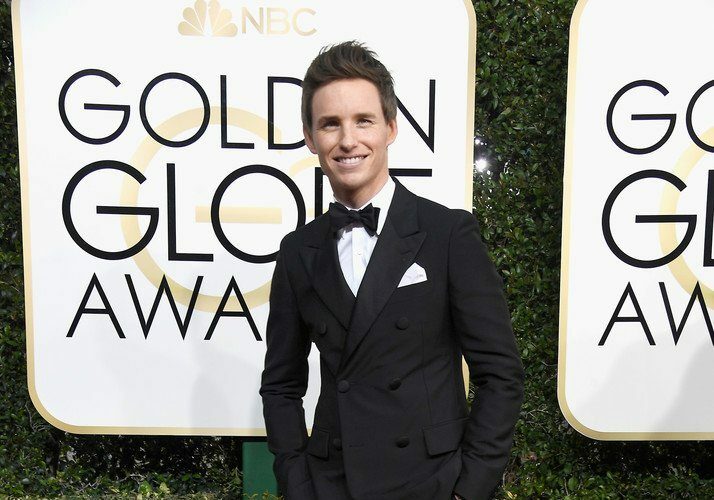 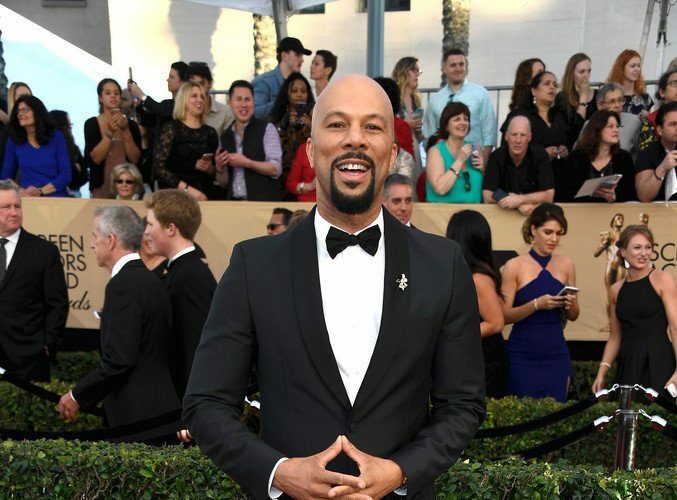 Brad Pitt wore head-to-toe Tom Fom at the 2017 Golden Globe Awards held at the Beverly Hilton Hotel on Sunday (January 8) in Beverly Hills, Calif.
Tom Ford wore head-to-toe Tom Ford at 2017 Golden Globe Awards held at the Beverly Hilton Hotel on Sunday (January 8) in Beverly Hills, Calif.
Eddie Redmayne wore head-to-toe Prada at the 2017 Golden Globe Awards held at the Beverly Hilton Hotel on Sunday (January 8) in Beverly Hills, Calif.